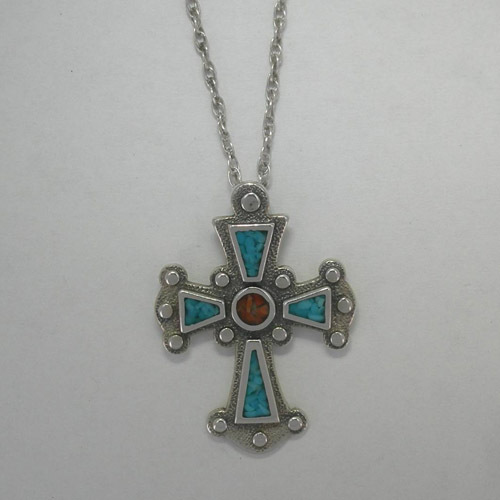 Desc: Sterling Silver Turquoise and Coral Cross Necklace. The Cross has Turquoise mounted in each arm of the cross. Coral is mounted in the center of the cross. The mounting has texturing and beads around the Turquoise and Coral. The chain is rope style link and has a spring ring clasp. The necklace has a bright polish finish.